The LSA Annual Meeting and Elections were held on Sunday, February 18, 2018. The members selected the following individuals for their 2018 Board of Directors. 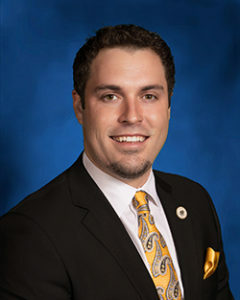 The LSA, in recognition of the state legislator who by action has demonstrated the highest commitment to the protection of Second Amendment rights, established the Louisiana Shooting Association Legislative Excellence Award in 2010. The 2017 winner of the Legislative Excellence award is Blake Miguez (R, Dist 49).